Builders owe a debt of gratitude to the inventor of framing fasteners. Not only do they simplify the arduous construction process, but they also make for stronger, more secure structures. Read on for the basics. 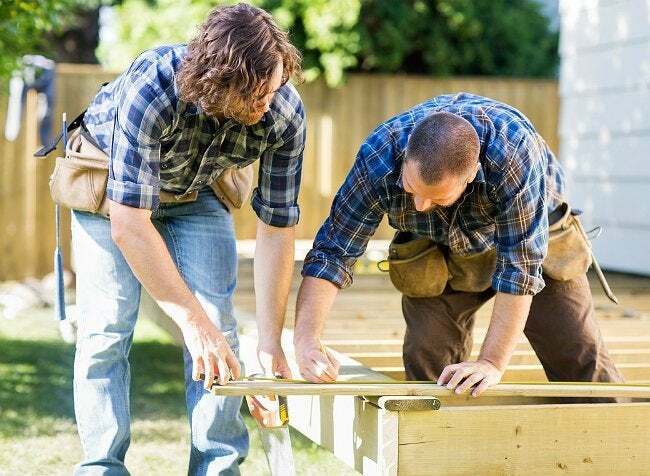 If you’re framing new construction—a simple backyard deck, for example, or even an entire house—framing fasteners allow you to join two boards (two-by-fours or two-by-sixes) easily and, above all, securely. Made of zinc-coated sheet metal, framing fasteners usually include conveniently pre-drilled holes for screws or nails. Though they come in a wide variety of shapes, some are much more common than others. Perhaps most common are angle brackets. Also frequently used are joist hangers, which are similar to stirrups in design and application. Other types of framing fasteners help builders do such things as secure roofing rafters or mount vertical posts to horizontal beams. Framing fasteners are especially important—indeed, often required—in geographical areas subject to extreme weather and natural disasters. That’s because they reinforce the structure, working to evenly distribute any stress that threatens its integrity. Stocking up? Save a considerable sum and be sure to buy in bulk.